It has been such a great week, I had to add a special weekend update! 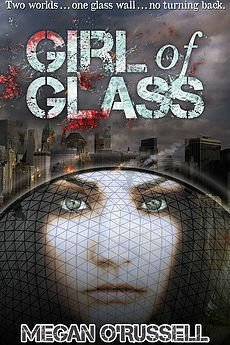 Girl of Glass is currently on sale for $0.99. And, this is a huge and, it moved all the way up to number 50 in its category and to 456 on the Young Adult Fiction store on Amazon. To be listed next to such huge books and authors is just amazing! Rick Yancey and Suzanne Collins! What a dream! The sale is going to end very soon, so if you want to grab Girl of Glass for $0.99, head on over to Amazon now before time runs out! And for all of you who have already purchased Girl of Glass, thank you from the bottom of my heart! This has been an amazing week, and all of you have been a part of it! I have come to the conclusion that either I have aged significantly or I am living in a time vortex. I am not old. In the grand scheme of life, I’m still pretty young. So the vortex is the easiest solution. I believe the vortex might have been caused by tour. Wake up, get on a bus, try and sleep on the bus, get off the bus, forage for food, go to the theatre, try and figure out the shortest way to the stage, do the show, get back on the bus, go to sleep.